What do you get when you dedicate a century to building some of the finest optics on the planet to satisfy the needs and desires of the most critical users? BLACK - Nikons flagship range of tactical optics. The proving ground for thousands of engineering hours focused on bringing painstakingly precise, highly innovative products to the hands and eyes of shooters, BLACK brings a new level of performance, and expectation - to the tactical optics world. Nikons BLACK FORCE1000 riflescope delivers extreme targeting speed, repeatable precision and superior accuracy for your AR/MSR platform. With true 1x magnification and 4x zoom designed for both-eyes-open engagement as well as aiming precision for extended ranges, this compact optics rugged construction and metal-capped turrets assure extreme durability and sighting confidence under the toughest conditions. The 4-16x50SF is a dedicated precision riflescope that offers the precision, the features and the ruggedness serious shooters demand. 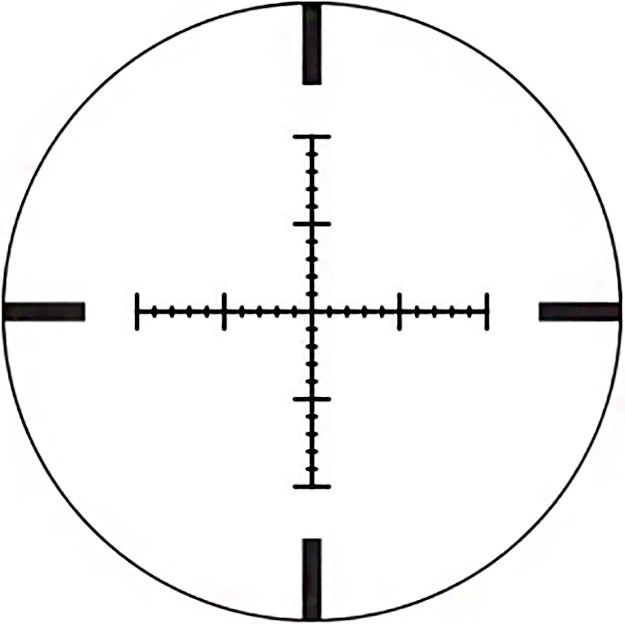 All of the 4-16x50SF models have the reticle placed in the riflescopes second focal plane, so all holdover corrections, ranging and other measurements using the indicated reticle subtensions should be done at 16x magnification. The 6-24x50SF is a dedicated precision riflescope that offers the precision, the features and the ruggedness serious shooters demand. With an Illuminated X-MRAD reticle, the riflescope delivers 17 total MRAD internal adjustment travel. Its turrets have .1 MRAD click graduations yielding 5 MRAD per revolution. The 6-24x50SF is a dedicated long range riflescope that offers the precision, the features and the ruggedness serious shooters demand. With an Illuminated X-MOA reticle, the riflescope delivers 60 total MOA internal adjustment travel. Its turrets have 1/4 MOA click graduations yielding 12 MOA (48 clicks) per revolution..